By Mike Lally* - Strategically positioned at the crossroads of Europe, Asia and the Middle East, Turkey has embarked on a major renewable energy and energy efficiency program. 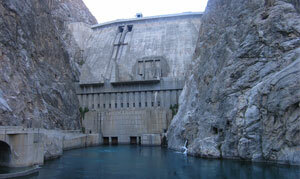 The country aims to increase its clean energy share to 30 percent of its power supply by 2023 — the 100th anniversary of the Turkish republic. With over $40 billion in investment expected in this area by 2020, U.S. companies will see major business development opportunities in solar, wind, geothermal, hydro and all elements of energy efficiency. Aksoy Group, the founder of sahibinden.com, Turkey's most visited e-commerce platform with over 2 billion monthly page views, is aiming to support promising internet projects through its newly established "Aksoy Internet Ventures". Aksoy Group Vice-Chairman Taner Aksoy said "We founded sahibinden.com in 2000, and the Turkish information technology sector has developed and undergone a major change since then. It's a great pleasure for us to witness the whole process, especially after having secured a place among the most experienced companies. Nowadays, without a doubt, raising funds for the right project will not be so difficult in such a promising sector. 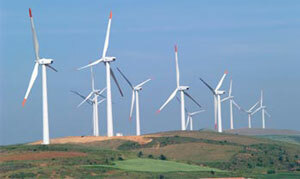 Our differentiation will be to share our vision and experience on top of our financial support. Shortly, Aksoy Internet Ventures brings 'smart money' "
Aksoy said the company was willing to invest in a portfolio of companies diversifying risk. "We are primarily considering investing in Turkey. We may get involved in projects that directly target foreign markets, as well as those that are extending from Turkey to abroad." Investors who share a common vision with Aksoy Internet Ventures will also have the opportunity to co-invest in these new projects, the group said. The sale by the Turkish city's government includes 52 vessels that transport more than 50 million people each year, across the Bosphorus and around the Sea of Marmaris. The chief executive of Stagecoach transport group used his investment company to lead the buyout. His investor group has a 30% stake in Istanbul Deniz Otobuslen (IDO) ferries. 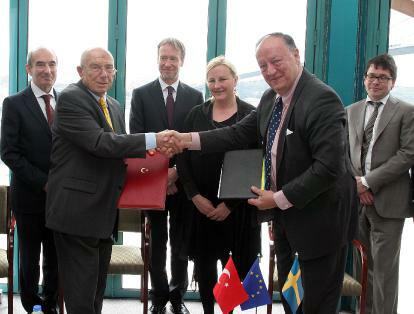 Souter Investments is partnered by Ann Gloag, Sir Brian's sister and co-founder of Perth-based Stagecoach, Edinburgh financier Sir Angus Grossart and three Turkish-based companies, including the operator of the country's largest airport. The sale, denominated in US dollars at $861m, includes 25 sea buses, 19 fast ferries and 17 conventional ferries. There are nine inter-city and five inner-city lines serving 35 piers, with sales last year of £142m. Lebanese lender Bank Audi is interested in acquiring Tekstilbank of Turkey, daily Sabah reported Thursday but did not say where it obtained the information. The newspaper also reported that Tevfik Bilgin, head of the Banking Regulation and Supervision Agency, previously said some banks that “believe in Turkey's potential” may take their place in the market. Bank Audi, owned by the Audi Saradar Group, is active in 11 countries. As of the first quarter of the year, its assets totaled $28.9 billion, while its consolidated net profit was $90.4 million. In comparison, Tekstilbank has 44 branches and 75.5% of it is owned by GSD Holding, which is run by businessman Turgut Yılmaz. The rest of the bank is being publicly traded. Its asset size totals 2.7 billion Turkish Liras. Its net profits for the first quarter were at 5.6 million liras. Turgut Yılmaz is the brother of Mesut Yılmaz, a former prime minister. Turkey is now the second most popular choice among Russian buyers according to a survey conducted at a major Moscow property show. Leading Russian overseas property magazine International Residence conducted the survey of 499 Russian buyers at the Moscow International Investment Show in March. They found that Turkey was the third most popular country among Russians looking at overseas property, beaten by Bulgaria in first and Spain in second. Other findings of the survey were that 49% planned to buy in the next 12 months, 66% were looking for apartments, and 53% were buying for lifestyle reasons compared to 12% looking to make an investment. The survey also found that 40% of buyers were looking to spend between 100,000 Euros and 250,000 Euros, a higher percentage than has been seen at previous shows. Bayerische Motoren Werke AG, the world's largest maker of luxury vehicles, is considering adding two auto factories in emerging markets as it seeks to extend its lead over Volkswagen AG's Audi. BMW is evaluating sites for a plant in Brazil as well as another factory in Russia, India, South Korea or Turkey, Chief Executive Officer Norbert Reithofer said today at the company's annual shareholders' meeting in Munich. "The people in these countries want more individual mobility," Reithofer said in a speech. "We want to further our lead in the premium sector." The maker of BMW, Mini and Rolls-Royce cars is expanding in emerging markets as it looks to guard its independence and fend off Audi, which aims to overtake BMW as the luxury-car leader by 2015. BMW's joint venture plant in Shenyang, China, is boosting investment to 1 billion euros ($1.42 billion) from 560 million euros. 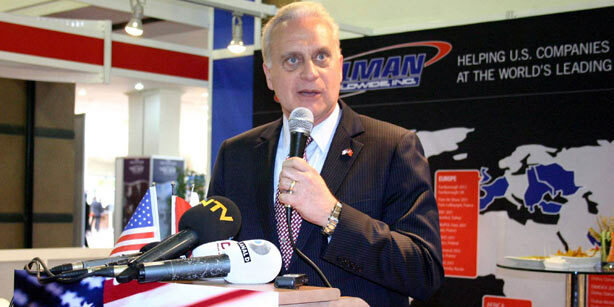 US Ambassador to Turkey Francis J. Ricciardone addressed to companies who participated in this year's IDEF fair. US Ambassador to Turkey Francis J. Ricciardone has said in a meeting in İstanbul that as Turkey's military industry complex grows, it will become one of the major areas of cooperation in Turkish-American economic relations. The ambassador was speaking at a reception he hosted on Wednesday for companies participating at the International Defense Industry Fair (IDEF) and said this fair would help both Turkish and American firms find new opportunities and partners. Noting that he was proud of the American contribution to Turkey's success in the defense industry, the ambassador said soldiers, diplomats and civilians of both countries worked together to establish peace and security in the world, citing examples from Somalia and Libya. ISTANBUL (AP) — Turkey on Wednesday announced plans to build two earthquake-resistant developments in the Istanbul area to lure residents away from dangerous neighborhoods. Prime Minister Recep Tayyip Erdogan said the first of two "new cities" would be built on abandoned quarries and coal pits at the edge of Istanbul's European side. The second would be located on unused land on the Asian side, he said, without providing further details. The two new urban centers would have a population of about 1 million each. Erdogan said studies for the project would begin soon after Turkey's June 12 elections, while construction would start next year. The main aim of the project is encourage people living in Istanbul's earthquake-prone areas to move, he said. Turkey’s trade deficit jumped 91 percent from a year earlier in March, as central bank policies failed to slow growing domestic demand that draws in imports of goods and raw materials. The deficit was $9.8 billion in the month, compared with $5.1 billion a year earlier, the statistics office in Ankara said on its website today. The figure exceeded a median estimate for a $7.8 billion deficit in data compiled by Bloomberg. Turkish defense industry companies' new target has become Latin American countries. Turkish defense industry companies continue to make promotions and marketing in all corners of the world. Following a recent protocol signed in Indonesia that was worth 400 million USD, the Turkish Undersecretariat of Defense Industry (SSM) is helping Turkish defense industry companies to market their goods in Latin American countries. Turkish businessman Aydin Dogan agreed to sell the Milliyet and Vatan newspapers to DK Gazetecilik & Yayincilik AS, owned by the Demiroren and Karacan groups, for $74 million. Dogan will sell Milliyet for $48 million and Vatan for $26 million, unit Dogan Gazetecilik AS (DGZTE), which controls the newspapers, said in a filing with the Istanbul Stock Exchange today.